a private good or is it a public right?” says Mark Merrill. Leaders of Virginia’s hospitals are frustrated, and they have some good reasons for feeling that way. After all, they were left hanging when the 2010 Affordable Care Act cut Medicare reimbursements to hospitals in anticipation of Medicaid expansion, but then Virginia refused to expand its program. Then there were more Medicare cuts in the 2013 sequestration budget deal. According to the Virginia Hospital and Healthcare Association (VHHA), overall funding cuts will cost Virginia hospitals close to $1 billion annually by 2021. “This is not a sustainable business model,” says Sean Connaughton, VHHA’s president and CEO. Hospitals cut a less sympathetic figure, though, when numbers come out showing that most Virginia hospitals have positive operating margins, according to 2014 data released in December by Virginia Health Information (VHI). VHHA, however, says that a hospital needs to have an operating margin of at least 4 percent to maintain fiscal stability and fund capital expenditures. Forty of 89 fell below that mark, including 18 of 31 rural hospitals on the VHI list, the trade group says. Some hospitals are feeling the pinch for reasons that reflect their own more specific circumstances as well as cuts in federal dollars. Valley Health System operates four of its six hospitals in Virginia, and three of them — Page Memorial Hospital, Shenandoah Memorial Hospital and Warren Memorial Hospital — were in the red in 2014. That’s better than 2013, though, when all four of its Virginia hospitals failed to break even. The fourth is Winchester Medical Center. Like others, Merrill blames much of the problem on the cuts from the ACA and the sequestration budget deal. So far, he says, the hospital group has not yet seen a financial uptick from an increasing number of insured patients because of rising ACA enrollment. Plus, “we continue to see an increase in charity care” and bad debt, he says, with the cost of such care at Shenandoah Memorial rising $800,000 to $6.8 million from 2014 to 2015. In addition, the reimbursement percentage from Medicaid continues to decline; Merrill says he’s been with Valley Health for six years, and it’s dropped every year. Merrill also cites the financial impact on hospitals when doctors leave. Their departure results in fewer hospital-based procedures and patients. Warren Memorial, for example, lost an orthopedic surgeon a few years ago, leaving the hospital with just one in that specialty. Another local doctor just moved to a different market. “In a small hospital… the medical staff is not as robust. A loss of a busy practitioner is a big hit,” he says. A small hospital group also has a tougher task in spreading out the costs of systemwide investments, Merrill says. In 2014 Valley Health launched an electronic health record (EHR) system called EpicCare. “We think it’s very valuable, but Warren and Shenandoah and Page, if they had to proceed with an EHR system like EpicCare, it would not be affordable for them,” he says. 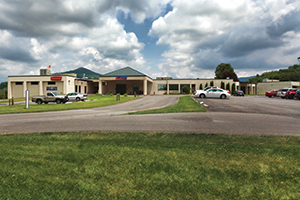 Valley has had to make some reductions in services; it closed its obstetrical services at the Shenandoah hospital and combined it with its Warren location, and scaled back pediatric care at Shenandoah as well. “It was a combination of cost and insufficient physicians” to provide care, Merrill says. Another rising expense is the cost of pharmaceuticals, he says. Pharmaceutical companies are for-profit, but many hospitals are not. Those hospitals find themselves stuck between the private sector’s profit motives and their own responsibilities. “We haven’t as a nation decided: Is health care a private good or is it a public right?” Merrill says. Another example of the tough choices facing some hospitals is Chesapeake Regional Healthcare in Chesapeake. It has a 310-bed independent hospital, a rarity these days. Its operating margin was 7.9 percent in the red in 2014, and 24.6 percent of its total expenses were used to cover charity care, bad debt and taxes, among the highest percentages in the state. Chesapeake Regional had a profit margin of 1.3 percent, or $3.9 million, in fiscal year 2015. 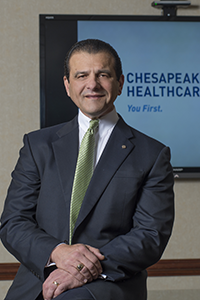 Dr. Peter Bastone, Chesapeake Regional’s CEO, recently reflected on its challenges near the end of his tenure at the hospital. He was scheduled to leave at the end of March to be closer to his family in California. 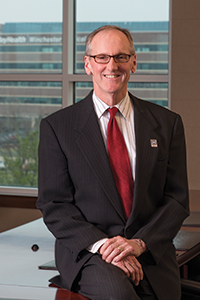 Dr. Alton Stocks, Chesapeake’s chief operating officer, is now interim president and CEO. Independent status brings financial challenges because it can’t share costs. Chesapeake Regional is surrounded by bigger competitors, such as Sentara Healthcare, which has six hospitals in the region, and Bon Secours Health System, which has three. Bastone’s strategy was to not be all things to all patients and to form partnerships with other hospital groups when they made sense. “We want to be the integrator of care. If you come to our hospital, and you have a major cancer, I don’t want to treat you here. I want to send you to Johns Hopkins, to Sloan Kettering [in New York.] If we’re able to take care of that problem, that family is going to come back to us,” he said. Shrinking Medicare payments and the cost of indigent care hurt the hospital, too, but he looked at what he could do with the hand he had been dealt. In another part of the commonwealth, Carilion Clinic has six hospitals in Southwest Virginia but only one, Carilion Tazewell Community Hospital, was in the red in 2014. It’s a small hospital, with 56 licensed beds. 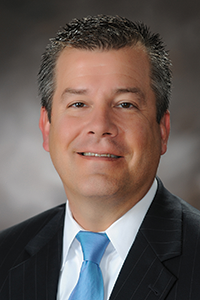 Carilion CFO Don Halliwill cites several financial headwinds the hospital faces. The cuts in Medicare reimbursements, the lack of Medicaid expansion and the loss of commercially insured patients are the main issues. Unemployment in Tazewell County was 7 percent in December, compared with 3.9 percent statewide, according to Virginia Employment Commission figures, which are not adjusted for seasonal changes in the labor force. The jobless rates in neighboring Buchanan and Dickenson counties were both above 10 percent, the only two localities in Virginia with double-digit rates. The weakening coal industry is shedding jobs, and Tazewell’s region feels it. “Fewer businesses, fewer jobs mean fewer insured patients,” Halliwill says. The Tazewell hospital also struggles to keep doctors in the area, both specialists and primary-care providers, he says. A primary-care doctor in a rural region generally is paid less than a physician in a practice in a wealthier and more populated community. And the work demands can be higher. Some regions have more problems than others. Northern Virginia had just one hospital in the red in 2014, according to the VHI figures. Southwest Virginia had eight. Some hospitals are just a few years old and need time to get established in the market. This group includes facilities such as Spotsylvania Regional Medical Center, which opened in 2010, and Riverside Doctors’ Hospital Williamsburg, which opened in 2013. This year’s General Assembly considered a proposal to enact a 3 percent provider tax on hospitals, which would have brought in matching federal dollars. The final two-year budget approved in mid-March, however, did not include that provision. But hospitals did not come away empty-handed. The budget provides $16 million in state matching funds to adjust Medicaid reimbursements for inflation.